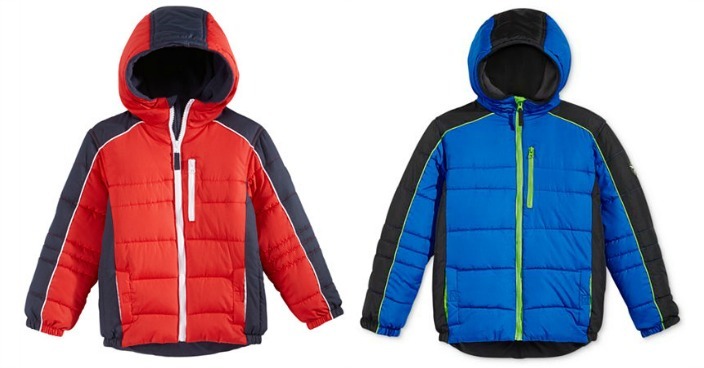 Boys' Protection System Hooded Puffer Jacket Only $19.99! Down From $80! You are here: Home / Great Deals / Christmas Deals / Boys’ Protection System Hooded Puffer Jacket Only $19.99! Down From $80! Boys’ Protection System Hooded Puffer Jacket Only $19.99! Down From $80! Macy’s has this Boys’ Protection System Hooded Puffer Jacket on sale for $24.99 (Reg. $80) but you can get one for only $19.99 when you use promo code GIVE at checkout! Cool colorblocking and a warm puffer style come together to help him face the elements at playtime with this hooded puffer jacket from Protection System.